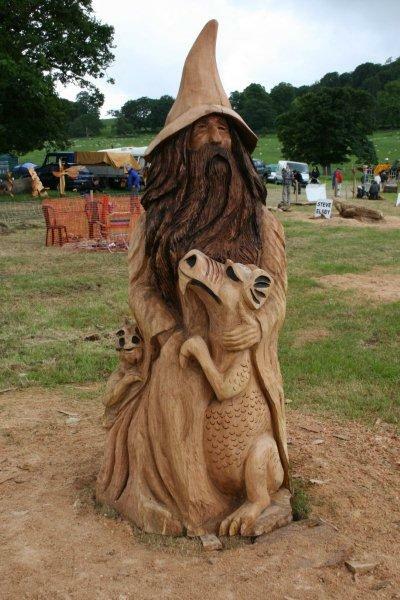 This seven foot plus Wizard is holding one baby Dragon and another is hiding in his cloak to the left. He is looking into the distance to spot the return of the parents. This piece was sculpted with chainsaws from a large log of good quality oak. It was sold at auction at the end of Woodfest Wales, 2011, for a record Woodfest price.